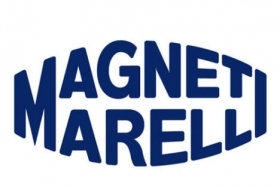 Italian supplier Magneti Marelli S.p.A. plans to build its second exhaust systems plant in China. The new facility, to be built in Hefei in east China's Anhui province, will be established as a 51-37-12 joint venture between Magneti Marelli, Hefei-based Chinese automaker Jianghuai Automobile Co. and a local investment company, Hefei Lingdatang Collective Assets Management Co. The venture will initially employ 160 workers; it is due to start production early next year. After reaching full capacity, it will produce more than 900,000 exhaust system parts for vehicle engines, including intake manifolds, exhaust pipes, catalytic converters and mufflers. In addition to JAC, the plant will also supply other automakers operating in China. Magneti Marelli's first China exhaust systems plant is in Changsha in central China's Hunan province and mainly supplies GAC Fiat, a joint venture between Fiat S.p.A. and China's Guangzhou Automobile Group Co.
Aside from the Changsha plant, Magneti Marelli also has plants in China making powertrain components, lighting, shock absorbers and electronic components.